1. Combine the dry ingredients in a bowl and slowly add water, kneading it until all of the water is added and everything is well combined. You want to make sure that it isn't sticky. It will feel like Play-Doh, but a bit softer. It shouldn't be sticky. If it feels sticky, you will want to add a small amount of flour and salt and work it in. Keep a 1:1 ration of flour and salt. 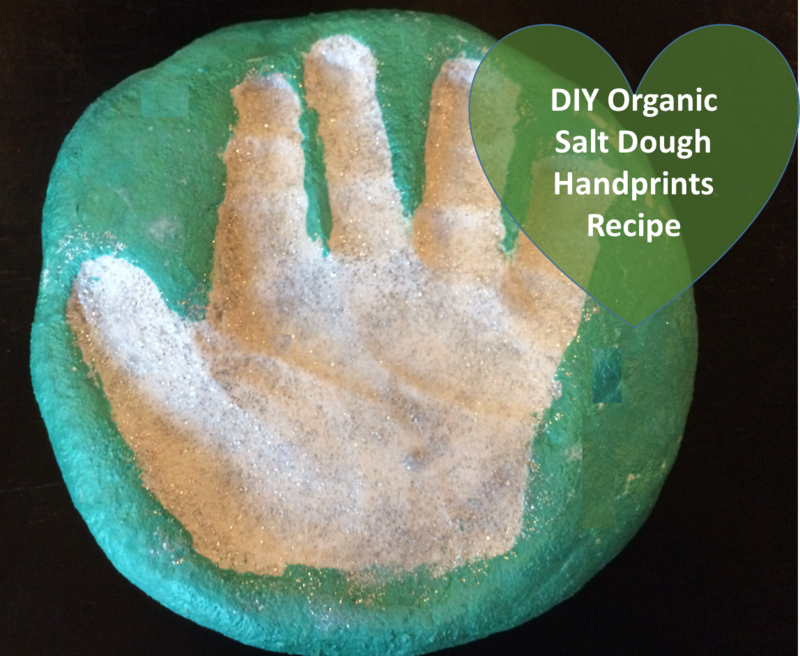 If there is too much flour, the dough rises and could ruin the little handprints. 2. Roll the dough out to your desired thickness. I rolled the example above to approximately 1/2" thickness. 3. Gently press your baby's hand(s) and/or feet into the dough. 4. You'll want to dry the dough in the oven. Notice that you want to dry it and not bake it. Your goal is to dry the dough out, so you'll use a very low temperature. The one above seemed to be perfect for us. We used a cookie sheet lined with parchment paper. We when used 100-degrees for 3 hours. We put it face up for the first 2 hours, then gently flipped it upside down for the last hour. I then let them cool overnight before painting. 5. I painted it with two different colored paints. Choose your favorite colors. I couldn't resist a sparkly handprint!